A BEAUTIFUL BOOK FOR A GOOD CAUSE In 2005, American photographer Naomi Johnson arrived in the turbulent Himalayan kingdom of Nepal, bearing cameras for the children of Aastha House, “House of Hope,” a small orphanage on the outskirts of Kathmandu. Over a period of months, they worked and played together to create a photographic view of this beautiful, troubled country as seen through the eyes of children. 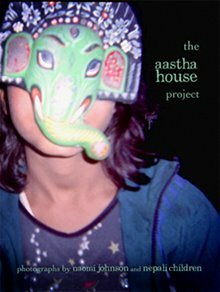 The Aastha House Project contains 108 full-color pages of images that are by turns gritty and dreamlike, gorgeous and disturbing, and always intimate and surprising. All profits from the sale of this book go to benefit the children of Aastha House, through the Rising Child Nepal Foundation, and JustCurious, a nonprofit organization dedicated to creating collaborative projects with children. The woman who raised my Nepali “son” Idi Mohammed until he came to live at Aastha House at the age of 6. 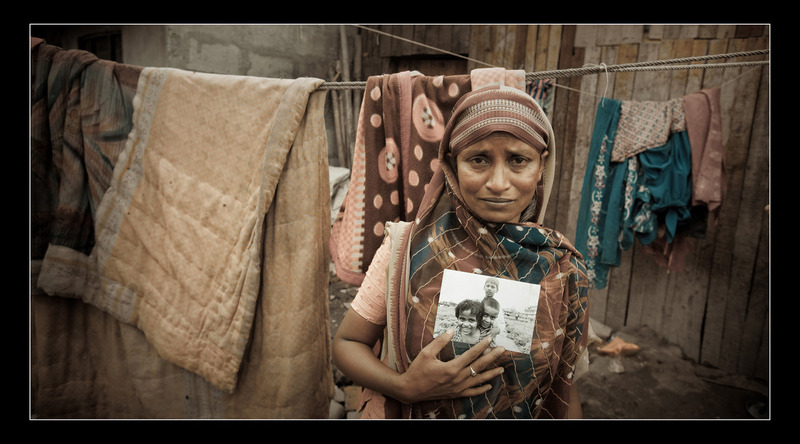 She is holding a photo of Idi, and the pain and sadness she is feeling is etched in her face. Mothers love their children the same all over the world and grieve over their loss. I think of this often when I think of the many children killed in war in places like Iraq and Afghanistan, often by our own American forces during predator drone strikes. Our government wants to call these dead children “collateral damage”. They are children, and they have Mothers like this one who are grieving over their loss. We miss you, Idi. Thank you for blessing our lives at Aastha House for 4 wonderful years. Now you’re safe in the hands of God. I have lost my first child. The ache in my heart is beyond belief. Now I know what it is like for a parent to lose a child. 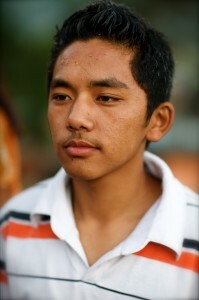 Idi Mohammed was swept away in the Bagmati River while playing football near the river bank. The rivers were swollen due to the huge rainfall over the last few weeks. Idi had gone home to the squatter settlement to visit his father, who is an alcoholic (his mother died). Even though his father was unable to care for him, he loved him. He was his father, after all. Gupta, my house parent, went to help with the search but the body has not been found. Idi was a bright child, always smiling and laughing. He had gap teeth. He loved to play soccer. He was a bright student. He loved school. He loved living at Aastha House. I love you, Idi. Rest in peace. 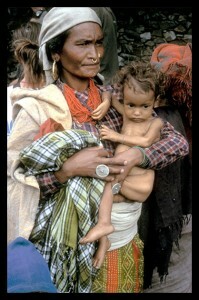 An excellent blog post by my friend Mikel Dunham on the severe malnutrition problem in Nepal. 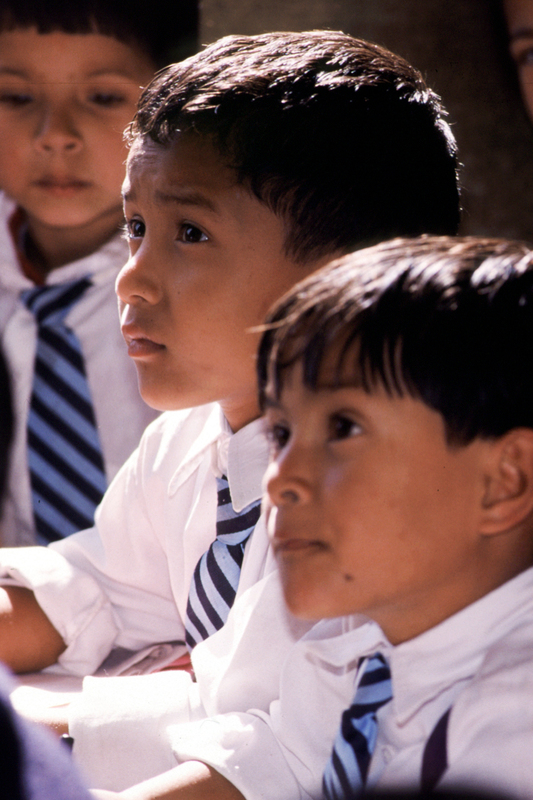 Over half of all Nepali children are malnourished. In some areas of western Nepal, the figure is more like 70%. These photos were taken in some of the slum areas of Kathmandu. I think they are some of the best photos I’ve seen to describe the slum areas, where squatters, landless people, build shacks out of whatever they can find (concrete blocks, plastic sheeting, bamboo). The squatter settlements have virtually no sanitation, leading to incredible amounts of disease and a shortened life span among many of the residents. illnesses like typhoid and hepatitis are common. Yet, as Morton points out, these people often live full lives, have families, celebrate festivals and do the best they can to create a home and community. I’ve met slum dwellers who tell me they will never leave, even if they are given the chance to move into a better home. They don’t want to leave their friends and family, their community. Outside the slums, they are considered outcasts. Several of my children have come from the slums. Right now, Apsana, her sisters Raksana and Rojina and her brothers Abbas and Idi Mohammed live with me. Their father died of alcoholism, and their mother is physically disabled with only one normal leg and one leg grossly deformed. She is a beggar. Sometimes didn’t have enough money to feed her kids more than a plate of rice with some chili sauce for their meal. To see young children eating rice, nothing more, breaks your heart. Finally, out of despair, the Mother sent her daughters on the streets to beg. That’s how I met Apsana, when she was about 9 ( she’s 15 now). Apsana shared with me over the year I got to know her what life is like on the streets for a young beggar girl. She was sexually harrassed, constantly in fear, had her money stolen. Her life was hell, yet she knew she had to beg to support her Mother and brothers and sisters. Her brother, Abbas, began working sewing sequins on Saris. Tiny tiny sequins are often sewed onto saris by young children because of their good eyesight and tiny hands. Now the children are all in school, clean, healthy and looking forward to bright futures. They go visit their Mom and spend the holidays with her in the slum. To them, the slum is home. But now they have hope and want to help other young slum dwellers have a better life. No surprise to me that the US State Department recently halted adoptions from Nepal. As I wrote on my website, I am often asked why I don’t facilitate adoptions. My reasons are many. For one, these children have a wonderful, rich culture, and I want them to remain in their home country and give back in some way. The answer to poverty is not adopting children to well off westerners. However, my main reason for not believing in adoptions from Nepal is the fact that it’s open knowledge that most children adopted from Nepal are not truly orphaned. Sadly, there many corrupt Nepalese involved in running these so called “orphanages” from where the adoptive children come. Its big business. Finally, its also openly known that the foreign (and, yes, many American) adoption agencies know full well the children may have one parent living and choose to ignore this. They are as much to blame as the Nepalese middlemen who run the adoption “factories”. What I want to know is, why did it take so long for the US Govt to ban adoptions from Nepal? Or the many other countries where adoptions of so called “orphaned” children are going on? In order to protect the rights and interests of certain Nepali children and their families, and of U.S. prospective adoptive parents, the Department of State and U.S. Citizenship and Immigration Services (USCIS) have jointly decided to suspend adjudication of new adoption petitions and related visa issuance for children who are described as having been abandoned in Nepal. The Department of State’s recent interactions with the Government of Nepal and its efforts to review and investigate numerous abandonment cases, including field visits to orphanages and police departments, have demonstrated that documents presented to describe and “prove” the abandonment of children in Nepal are unreliable. Civil documents, such as the children’s birth certificates often include data that has been changed or fabricated. Investigations of children reported to be found abandoned are routinely hindered by the unavailability of officials named in reports of abandonment. Police and orphanage officials often refuse to cooperate with consular officers’ efforts to confirm information by comparing it with official police and orphanage records. In one case, the birth parents were actively searching for a child who had been matched with an American family for adoption. Because the Department of State has concluded that the documentation presented for children reported abandoned in Nepal is unreliable and the general situation of non-cooperation with and even active hindrance of investigations, the U.S. Government can no longer reasonably determine whether a child documented as abandoned qualifies as an orphan. Without reliable documentation, it is not possible for the United States government to process an orphan petition to completion. To the best of our knowledge, all other countries that had been processing adoption cases from Nepal have stopped accepting new cases due to a lack of confidence that children presented as orphans are actually eligible for inter-country adoption. The suspension of adjudication of new adoption petitions on behalf of Nepali children documented as found abandoned is effective as of the date of this statement. 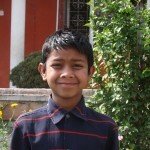 Any petition filed for a child who has been presented as found abandoned and who was matched with a prospective adoptive parent prior to the date of this announcement, as evidenced by an official referral letter from the Government of Nepal, will continue to be adjudicated on a case-by-case basis and in light of the totality of the evidence available. The Department of State will reach out to prospective adoptive parents who meet this criteria. Petitions that continue to be adjudicated will only be approved if they are supported by reliable evidence. Every effort will be made to process their cases as expeditiously as possible with the best interests of children in mind. Congratulations to Bikram for passing the SLC (School Leaving Certificate) in 1st Division, among the brightest students in all of Nepal. Durga (who I write about in this earlier post) and Bikram both came from lives of extreme adversity as young children to achieve the highest marks in the entire nation on the exam. They both will be entering college in the next few weeks and have bright futures ahead of them. It is children like Bikram and Durga who are the reason I continue to run Aastha House and do this amazing work. These children never fail to impress me with their intelligence and resilience in the face of extreme adversity. They have truly risen up, as the name of my foundation, The Rising Child Nepal Foundation, so aptly describes, and shown what every child in Nepal is capable of, be they beggar, orphan or child laborer. Over the years, so many people have visited Aastha House from around the world. Some hear of Aastha House by word of mouth, others have read an article in a Vermont newspaper about the home. Some come as volunteers to stay a few weeks or a few months. Others come for a meal and a visit with our great kids. A wonderful youth group from a church in Maryland came for a visit in October of 2009 and took a few photos. They brought lots of books for the kids, and, as the delighted faces in the photos show, the kids were thrilled. Books for kids are hard to come by in Nepal. Sadly, there are few books written for Nepali children in their own language. Thankfully, our children attend an English medium school, where most of their studies are in the English language, so by the time they reach high school, they are relatively fluent in English, the international language. Its a great advantage to them. 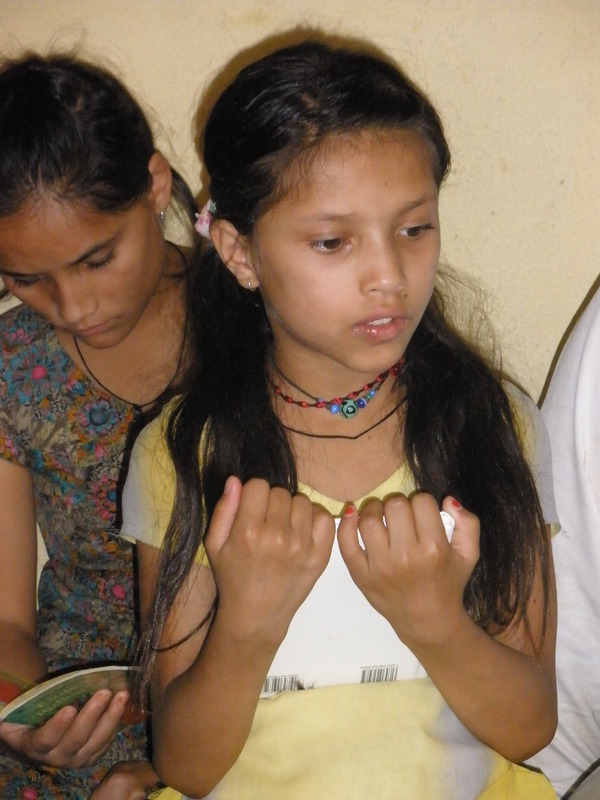 Every book we receive as a donation to Aastha House is greatly appreciated and well loved. I am often asked why I do not facilitate adoptions, a question which I discuss more in depth on my website under answers to common questions. I firmly believe orphaned children should remain in the own culture if at all possible, among other family members or distant relatives. I also feel strongly about this American idea that if only children are somehow “rescued” and brought to America, they are somehow being saved from this world of horror and poverty. We see that thinking in the American woman from Idaho who traveled to Haiti and rounded up children off the streets who she claimed were “orphaned”, transporting them to the Dominican Republic, another country entirely. She was promptly arrested for child trafficking. I’m sure she truly believed in some arrogant way that only Americans could care for these children, but the way this comes across to foreigners is just that, arrogance and this idea that America is the center of the world has got to stop. This is simply not true. Of course, if children are truly orphans and no options are left, then I am in favor of international adoption, but only as a last resort. The other reason I am against international adoptions is that they are basically fraudulent, and the majority of children are not orphans at all. Canada acknowledged this in the past week as they banned international adoptions from Nepal, saying that the adoption industry was rife with fraud, money making and even child stealing. Its a sad state of affairs, and I know many waiting adopting families are heart broken, but no mother should feel she has to sell her child to unscrupulous people who pretend the children are “orphaned” and charge thousands of dollars in Nepal alone for their “services”. Even more thousands, sadly, are spent by the American and Canadian adoption agencies, who know full well that most of the children are not true orphans, as much as they will deny it. Thankfully, my Aastha House children have grown up in a loving family- like home, gotten the best care, proper nutrition, and the highest standard of education. I pray that all abandoned and impoverished children in Nepal will one day have the same kind of childhood. Until then, I will continue to take in more abandoned children and will continue to target the most impoverished populations in Nepal, the Dalit (untouchables) and begging communities, through scholarships, support for women’s income generating programs like Quilts for Kids (see programs), and my school lunch program in Gorkha district, Nepal, where we are feeding 50 children a decent meal every day, the only meal many of them will get, and hope to feed many more as donations allow. It’s always fun to look at old photos of some of my kids when they were younger. Here’s a photo of Sulav at school when he was about 6. He looks so handsome in his neat school uniform. All the children take great pride in their uniforms. A big part of each morning’s getting ready for school ritual at Aastha House is the polishing of shoes, pressing of skirts and pants and ties, tying of bows into the hair and combing of the boys’ hair until its just so. The older kids help the little ones get shoes and socks on, hair brushed, teeth brushed, book bags ready. And then they all march off for the school day. I’ve found that even the most impoverished parents in the rural areas want their children to look polished and professional in neat and spiffy uniforms. 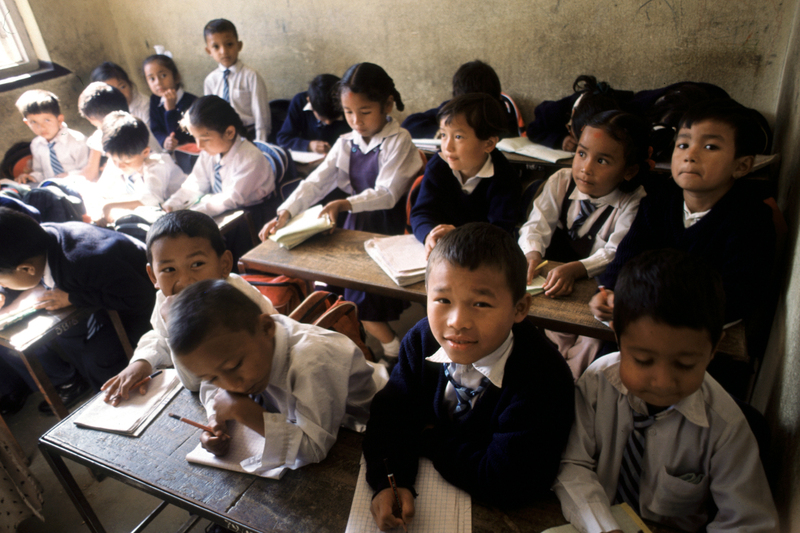 Sadly, one reason many parents don’t send their children to school is not only lack of money for supplies (all nepali school children must buy their supplies) or tuition, but lack of decent clothing. They are too embarrassed to let their children come to school with no uniform. So one of my plans for our scholarship program is to ensure each child has not one but two sets of uniforms. They will never have to feel embarrassed to go to school in ragged dirty clothing ever again. Margreta (Maggie) Kerr on Congratulations to Durga!